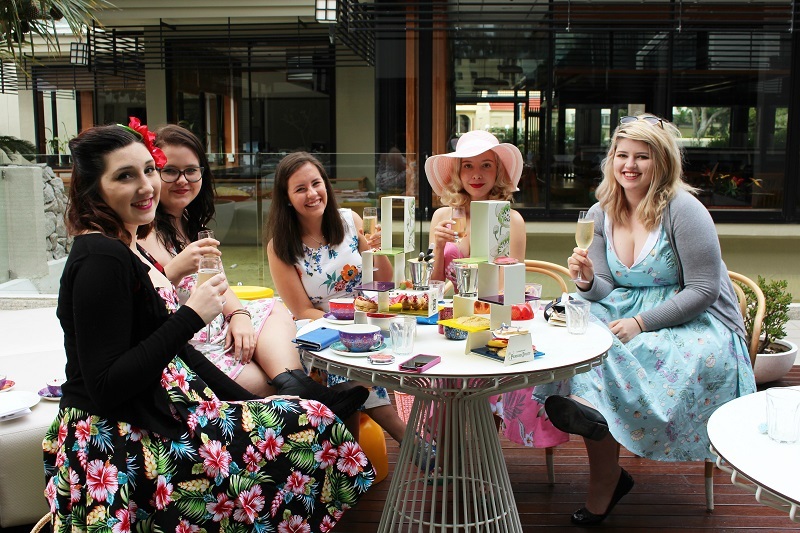 Vintage at Heart: My Bridal Shower High Tea! 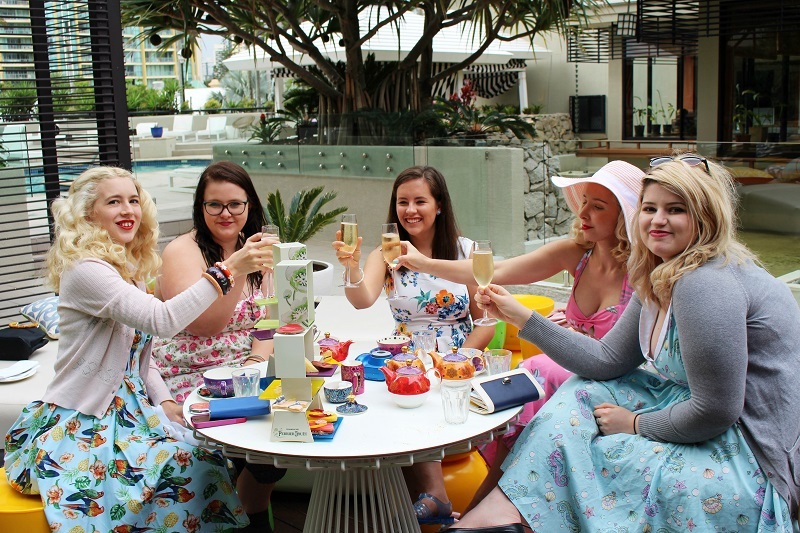 With the wedding almost upon us, this weekend my bridesmaids and I were treated to a beautiful high tea prepared for us by the fabulous and incredibly talented, kind and absolutely lovely staff of QT hotel on the Gold Coast. I am incredibly lucky to have these beautiful women in my life and the bridal shower was the perfect opportunity for everyone who hadn't yet met to spend a fun afternoon together and get to know each other before the wedding. There was much to discuss; hair, flowers, shoes - and the tea and champagne helped to make those difficult decisions a little easier! 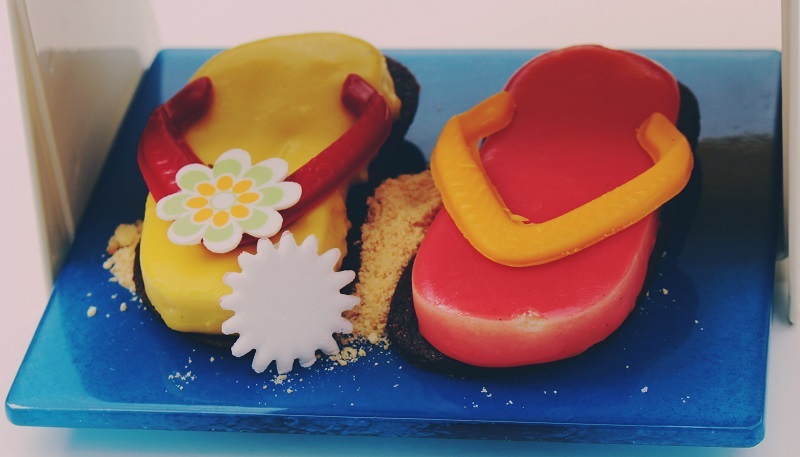 Earl, our wonderful chef brought out a delicious selection of handmade sweet and savory treats that were almost too beautiful to eat - and tasted just as they looked. For me personally, the highlight were the savory tomato and basil macrons - an unusual combination of flavors for what is traditionally a desert that go so well as a macaron. 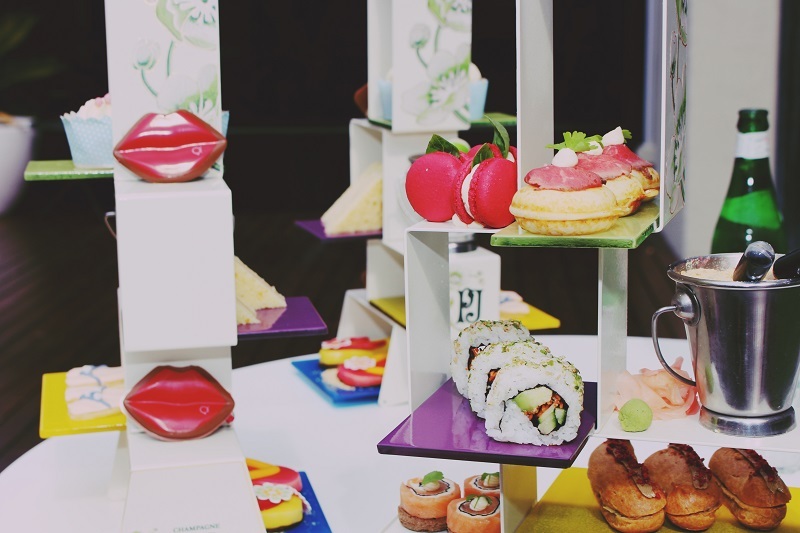 With such a wide selection of food on offer from miniature donuts topped with rare wagyu to pumpkin and pine nut quiches, there was something to tempt everyone, and with such a large amount of food the struggle was real to try a bit of everything! There were several moments where I had to resist the urge to pinch myself because it all felt like a dream - only unlike the dreams where one is about to sit down to a delicious meal only to wake up soon as the food reaches your mouth - I could actually taste the shortbread and scones. It was wonderful to spend the day drinking champagne with my favorite people and it makes me even more excited for the wedding! 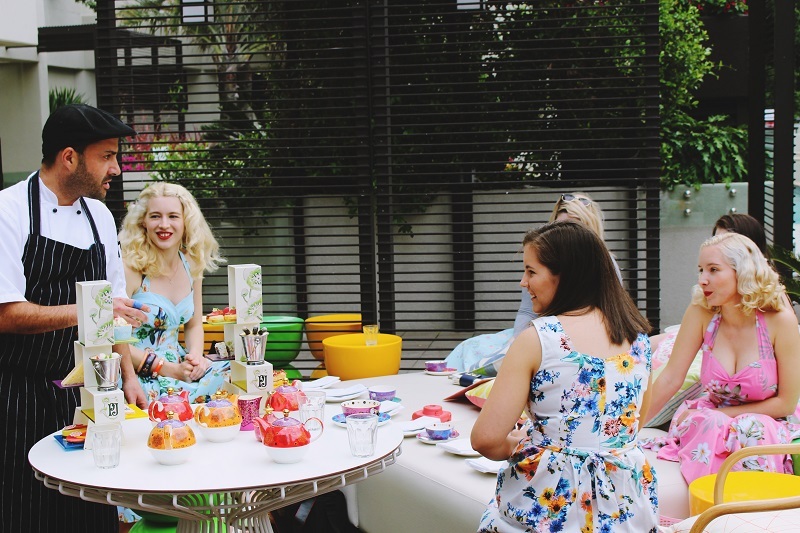 With it's fabulous 1950s aesthetic QT is the ultimate place to visit for vintage lovers and I would absolutely recommend treating yourself and your loved ones to the brilliant QT High Tea. Estavam todas lindas, amei as fotografias. You guys look absolutely stunning! And the food sounds magnificent. I'm glad you had such a lovely bridal shower. You all look amazing. 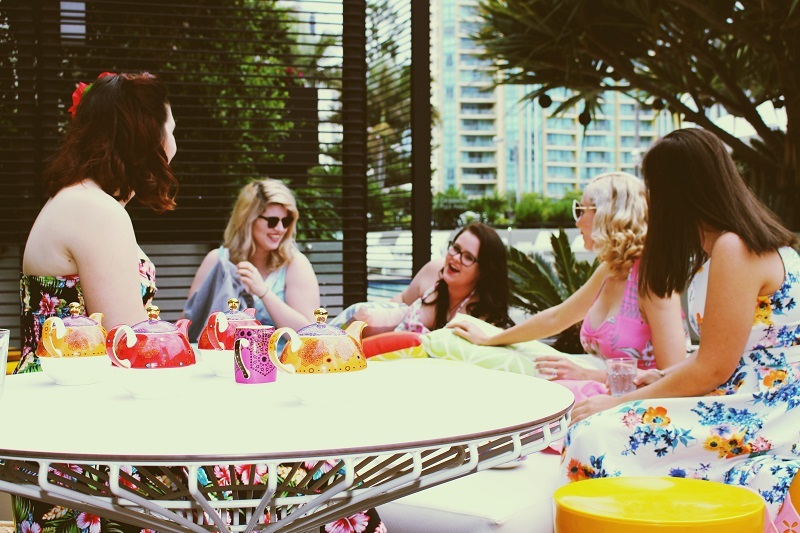 Combine that with great food and excellent company and you've got yourself a fab bridal shower! That looks fabulous! 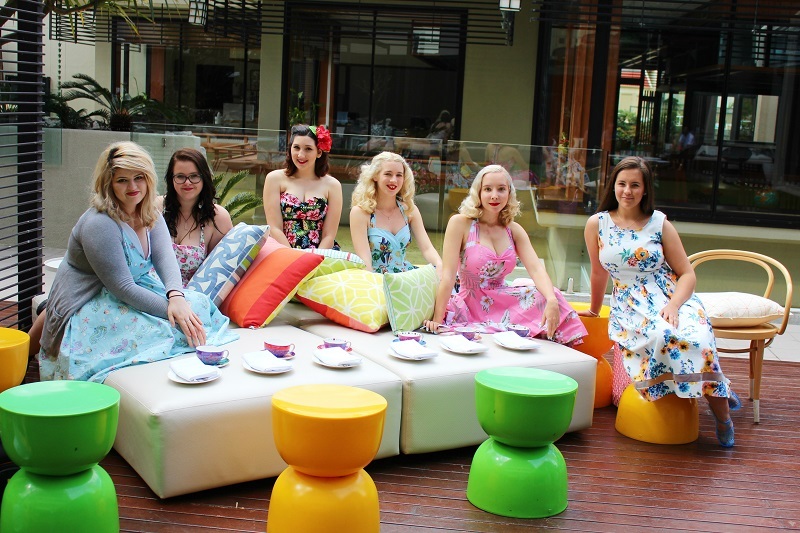 I love high teas but I do find they they often have the same old stuff, when something more unusual would be a nice change. It sounds like this place has that sorted! How marvelously special!!! 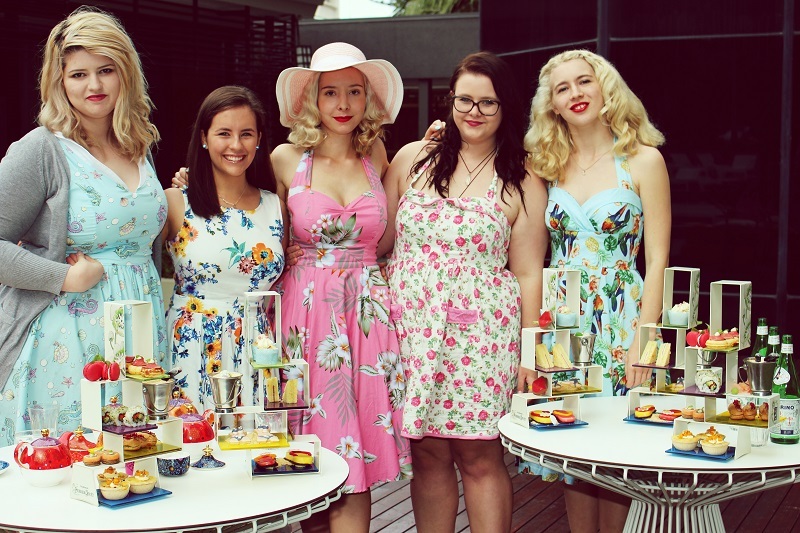 What a memorable, gorgeous bridal tea. Thank you so much for inviting us all along with you via these delightful photos. Happiest countdown to the big day, honey! Congratulations Harlow! 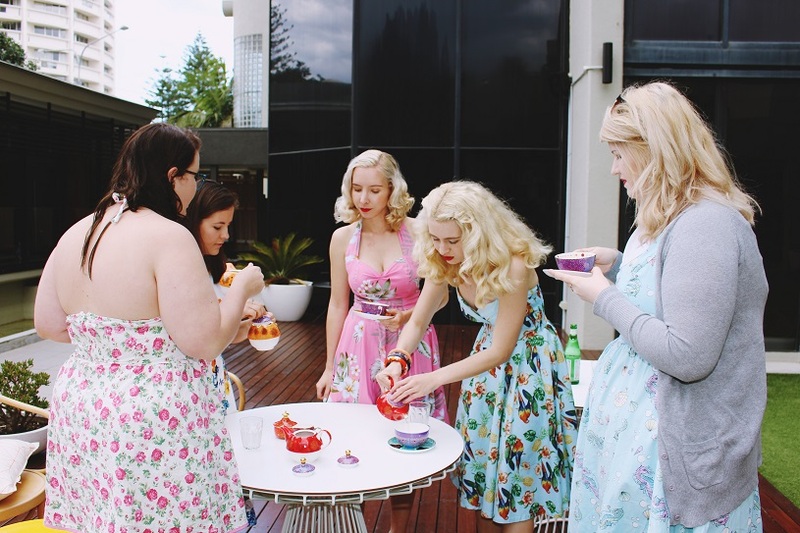 Your bridal shower tea outing looks like so much fun! I love the colorful and vibrant tea spread! I love all your outfits, soon many pretty colours and prints. What a bunch of beautiful ladies! You all really looked like you had a lovely time for your bridal shower Harlow...beautiful girls!! It looks like such fun!! Your brides maids are all so pretty. And did I see a sister there as well? Happy wedding planning!! Wow! I have to share this post with my friends. I am getting married by the end of this year in one of the New York venues and I really want to have it this way. I liked it a lot. Everything is amazing here. I cannot stop myself from saving this post and taking ideas from it.